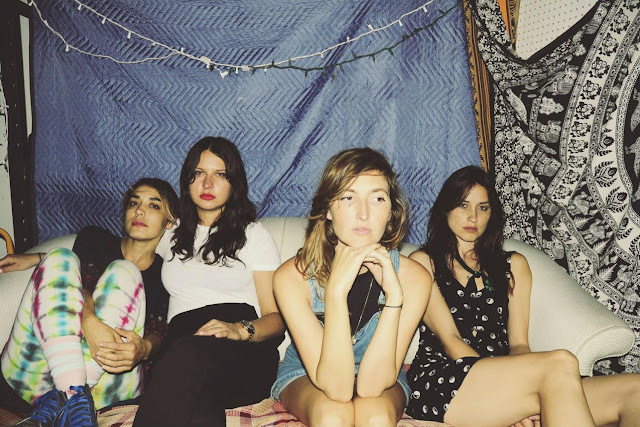 Warpaint announce new album "Heads Up" + stream "New Song"
Warpaint have today announced details of their brand new album, entitled "Heads Up" it is out on the 3rd of September via Rough Trade. They've also revealed a stream of a new song, called, well... "New Song", which gave me a real headache when trying to google it at first! The latest cut - "New Song" - sounds really different compared to their previous work, however fans are lapping it all up citing the 'upbeat' nature of the track might be an indication of what's to come, after all, they did feature on SBTRKT's last album didn't they, maybe they got the 'Indie-Dance' bug too like all bands seem to get these days.